No Man's Sky has come a long way in the last couple of years, overcoming the controversy of a rocky release thanks to a steady stream of updates from dev studio Hello Games that transformed No Man's Sky into the great space exploration game it was meant to be. And now you can immerse yourself even deeper into the mysteries of the universe thanks to VR support. If you haven't kept up, there's never been a better time to give No Man's Sky another chance. It deserves it. The game is an amazing space sim with a near-infinite number planets to explore, on which you can mine, craft, build , fly around on and get to know the weird and wonderful creatures of outer space. And, soon, it'll all be in VR, like you're right there. No Man's Sky VR brings the complete game to every PC-connected VR headset on the market: PSVR, HTC Vive, Oculus Rift, Samsung Odyssey Plus, you name it. Steam VR PSVR versions arrive this summer as part of the bumper free update titled No Man's Sky Beyond. The update comes in three parts. First, an online mode for new social and multiplayer features, then the VR capability, and finally a third major change that remains a mystery for now. VR gaming in 2019: what to expect? VR players won't be confined to a separate mode, but will explore the same universe as all other players, and join games with friends playing in the classic pancake style. Likewise, all future updates and benefits will apply to VR players too. Have you played No Man's Sky? 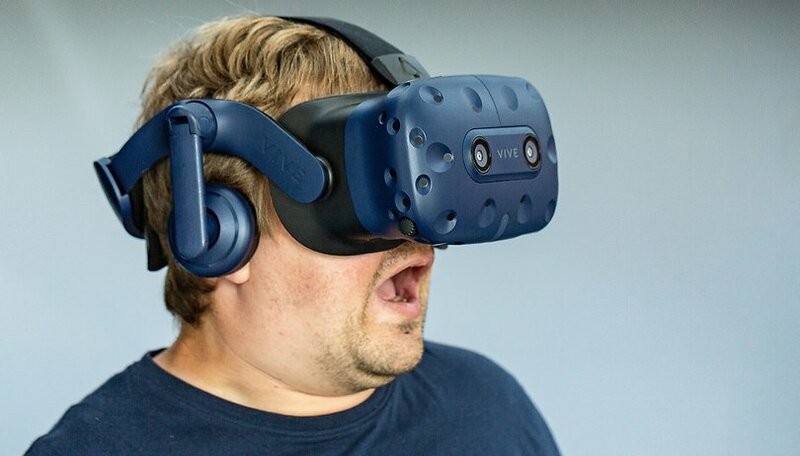 Does VR support make it more interesting for you?